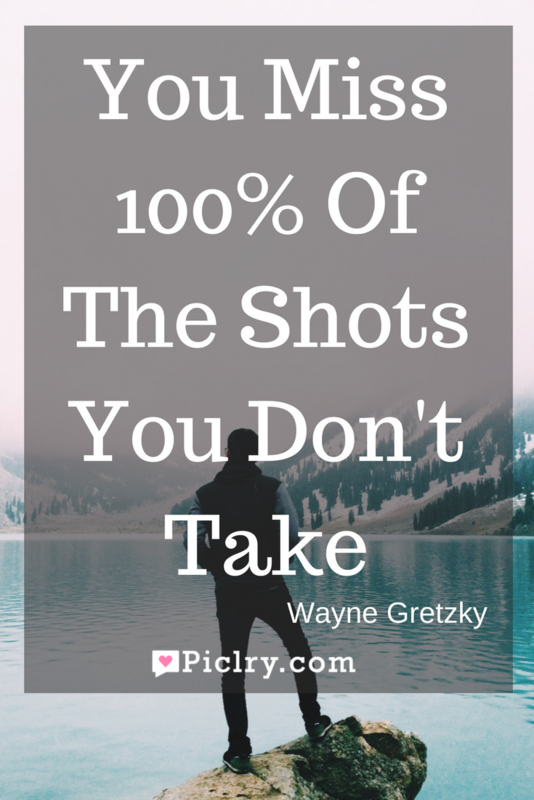 Meaning of You miss 100% of the shots you don’t take Quote by Wayne Gretzky. The ‘Playing With Fire’ fame author Wayne Gretzky gave the proverb that you miss 100% of the shots you don’t take. He meant to say that success comes to those who take action. To begin is the hardest part. It often means you are putting everything at risk and that you may face failure in front of everyone you care about. But it also means you could be successful at what you are doing. How would you know if you don’t try? If you don’t begin, there will be not a chance of your success; you will be a failure even before you start. If you don’t try, there will always be a question hanging around in the air around you- what if you had at least tried? It is better to begin and fight for success than live in regret all your life.